As the neurotransmitters deeply associated with happiness and well-being, the terms “serotonin” and “dopamine” are mostly used interchangeably. However, these powerful chemicals function in completely different ways. This article provides a clear comparison between the two. Serotonin is a neurotransmitter that carries signals, also known as impulses, from one neuron to another. It is biochemically synthesized from tryptophan, and it is found in the central nervous system, blood platelets, and gastrointestinal tract. Serotonin regulates mood and contributes to feelings of happiness and well-being. A popular “brain chemical,” it enables the body to sleep, relax, and develop a strong coping mechanism. 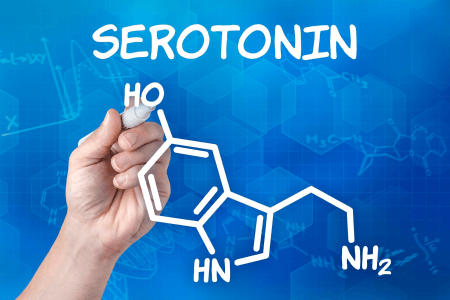 However, contrary to popular belief, the role of serotonin is not limited to this as it also regulates other physical functions such as pain perception, hunger and satiety, and gastrointestinal functions. Dopamine, on the other hand, is a neurotransmitter responsible for transmitting messages from the brain to the different parts of the body. 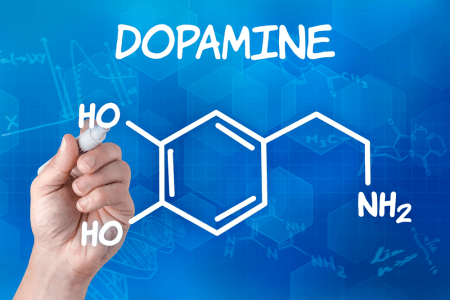 Mainly responsible for regulating the pleasure center of the brain, dopamine serves as a person’s motivating force. It does not only enable the brain to perceive rewards, but it also reinforces people to act on their goals. Dopamine is released in the hypothalamus, substantia nigra pars compacta, and the ventral tegmental area. These three parts of the brain regulate important physical and mental functions such as memory, sleep, movement, cognition, and behavior. Since dopamine plays an important role in these bodily functions, dopamine deficiency may lead to the development of Parkinson’s disease. So what’s the difference between serotonin and dopamine? While these powerful chemicals are both important in transmitting signals from one neuron to another, they are completely different in a number of ways. Firstly, serotonin is biochemically derived from tryptophan, which is an amino acid found in milk, cheese, whole grain, meat, and dairy products. Meanwhile, dopamine is an organic chemical belonging to the phenethylamine and catecholamine families. It is synthesized from a different type of amino acid called tyrosine, which can be sourced from plant and animal products such as pork, chicken, beef, nuts, beans, lamb, and eggs. Secondly, serotonin is released not only in the central nervous system but in the intestines and blood platelets as well. In fact, contrary to popular belief, the majority of serotonin is not released in the brain. According to studies, around 80%-90% is synthesized in the gastrointestinal tract. Dopamine, on the other hand, is produced in 3 different parts of the brain: the hypothalamus, the substantia nigra pars compacta, and the ventral tegmental area. It follows, therefore, that serotonin and dopamine function in different parts of the brain and the body. Dopamine is most active in the midbrain, the substantia nigra, and the hypothalamus, which are important in regulating mental and physical functions such as memory, sleep, movement, cognition, and behavior. Serotonin, on the other hand, fires impulses in the central section of the brain stem. Dopamine and serotonin also affect mood and behavior in different ways. Dopamine mainly acts as a motivating force. Strongly associated with the pleasure center of the brain, it does not only enable the brain to perceive rewards, but it also causes people to act on their goals. Procrastination, lack of enthusiasm, and self-doubt are linked to low dopamine levels. Meanwhile, serotonin is responsible for feelings of happiness, calmness, and emotional well-being. Serotonin spikes when people feel significant and loved. A low serotonin level, by contrast, can cause loneliness and despair. Lastly, unlike serotonin, dopamine plays a vital role in facilitating normal movement. A low dopamine level can lead to Parkinson’s disease, a degenerative disorder that affects motor skills.